In this volume leaders in the fields of urban design and planning from both sides of the Atlantic examine the structure and functioning of the urban region, discuss the strategies and machinery required to make regional planning effective, compare experiences in urban renewal, and analyze the part played by transportation and land values in the shaping of regional development. For thousands of years we have lived in cities, towns, villages, or country houses, and most of us still think of our surroundings in these traditional terms. Today, however, most people in Western countries inhabit a new form of social environment--the urban region. For all who live within thirty or forty miles of a metropolitan center, modern means of transport, communication, and power transmission have opened up a vastly extended range of choice in employment, recreation, and every other form of social activity. But our obsolete pattern of settlement and our pre-motor-age administrative organization prevent us from making the most of the opportunities to enrich the quality of everyday life which advances in technology have put within our reach. In our efforts to plan for a fuller enjoyment of the benefits of regional living we can learn much from those who are tackling this worldwide problem in the context of different laws, public outlooks, and degrees of motorization. 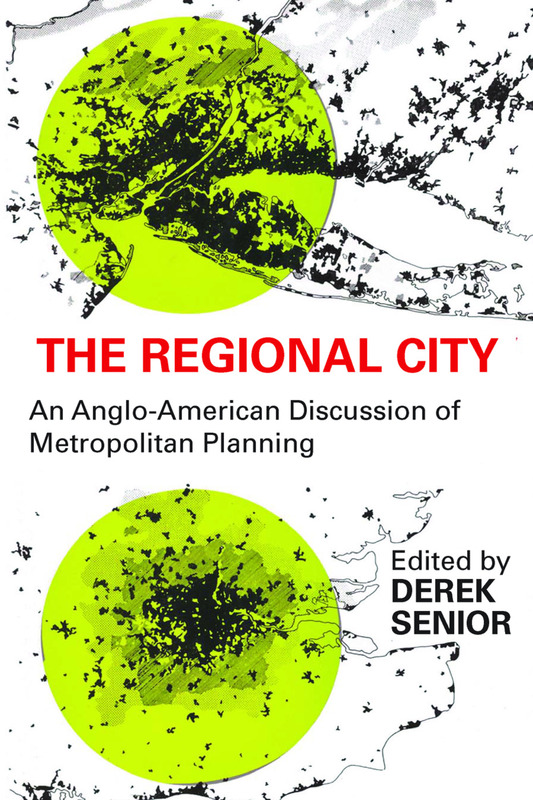 Therefore this Anglo-American discussion of metropolitan planning, offering much material that is new, unfamiliar, or not easily available, has special timeliness and significance.